Click here to go directly to the iCoat site! iCOAT Flooring products are designed and formulated to exceed performance and results expectations of distributors, installers and end users. iCOAT Products have stood the test of time for nearly 20 years installing interior and exterior projects. 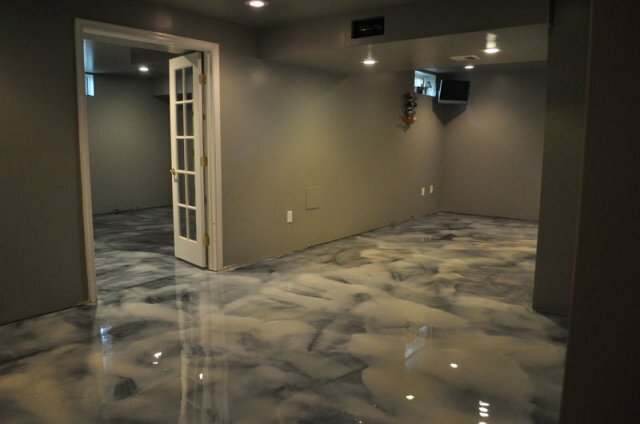 iCOAT Flooring overlays are specifically formulated to provide maximum adhesion, have excellent workability and produce first class looks at a great price. iCOAT has always engineered their products by employing extensive field testing on real projects, not just sample boards. 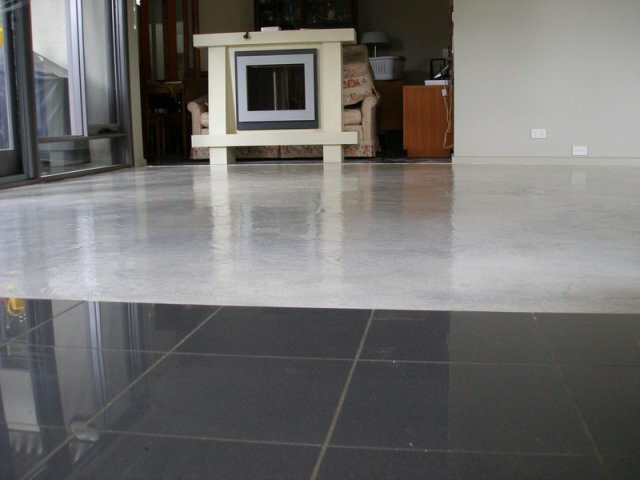 iCOAT Flooring products are very strong and light-weight concrete that is troweled on new or existing concrete. iCOAT Products are an excellent value. iCOAT Installers can create a wide array of exciting patterned or seamless finishes onsite for little more than a low end tile installation. 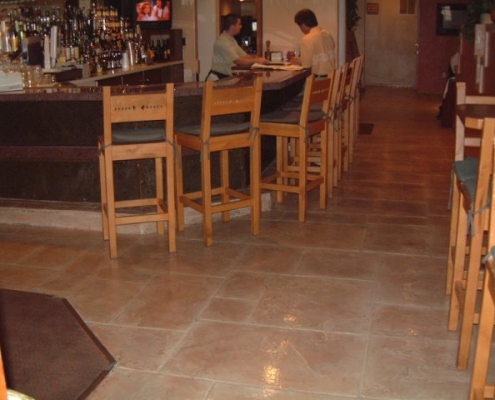 iCOAT floors can be done in any shape, size or color and can many times be applied directly over existing tile flooring. iCOAT Flooring also lends itself perfectly for creating the trendy larger tiles at a fraction of the price of real stone or tile.iCOAT Floors can also be installed over radiant heating setups to provide an aesthetically pleasing and functional floor. 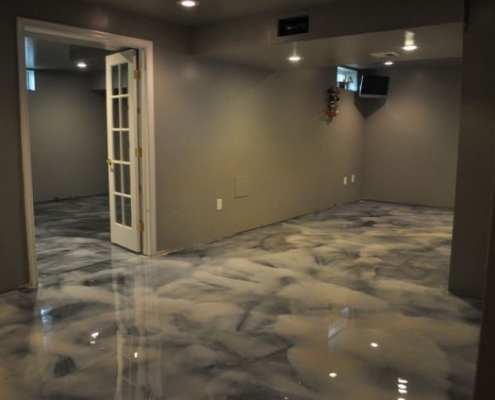 iCOAT Flooring Products have been used to create expensive looks for exterior and interior opportunities that transform a bland basement, kitchen, bathroom interior floors. For exterior transformations you can create masterpieces for patios, pool decks, walkways and driveways that add value to any commercial or residential project. iCOAT Flooring products are stain resistant, UV resistant and provide a durable and maintenance free floor for many years. 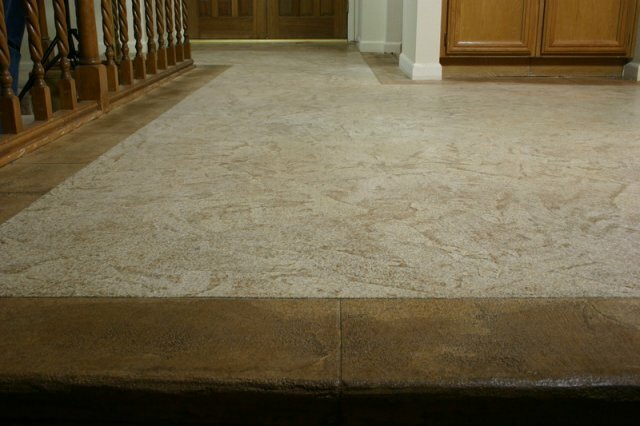 iCOAT Flooring products utilizes unique aggregates in a highly modified concrete mix manufactured under stringent quality controls to assure consistent composition and color absorption. 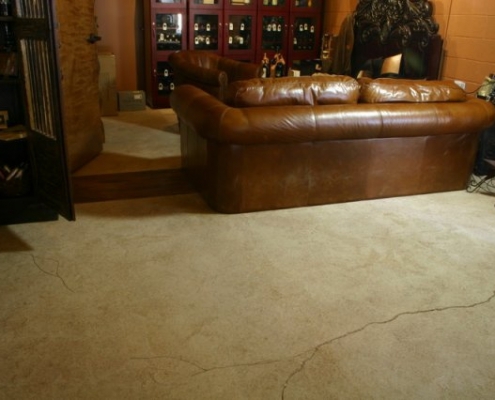 iCOAT Flooring products are a result of experience, excellence and adaptability. 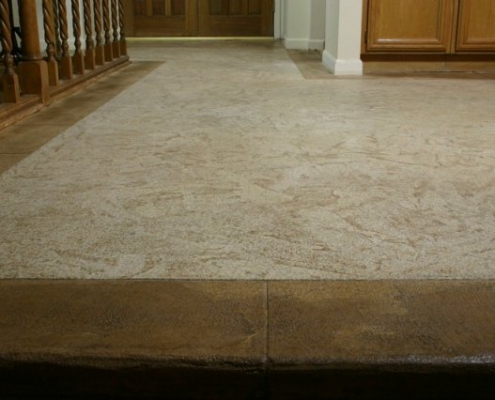 iCOAT is continually striving to secure the very best in raw materials, employ the latest in technology and the perform Quality Control procedures at the highest level which is why can claim our position at the front of the decorative concrete industry. 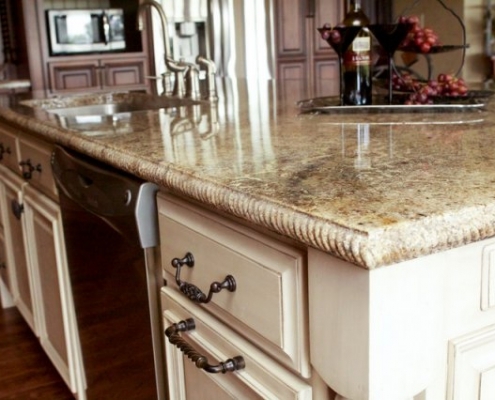 iCOAT “Renown” Countertop System is our most popular system and usually catches the eye and excitement of anyone who experiences the unbelievable resemblance to expensive Stone and Granite. Every time our distributors and installer exhibit at a Trade Show with our countertop samples lines form three to four deep to get a glance of artistic beauty. 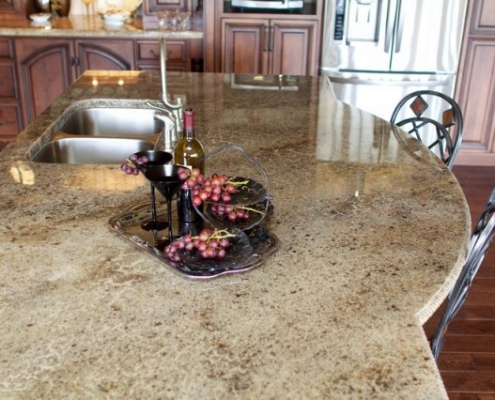 iCOAT has emerged as the leader in decorative concrete countertop technology. iCOAT not only invented the concrete resurfacing technology for countertops back in 2004 but has continually improved it as advances in concrete additives and colorants have become commercially available. 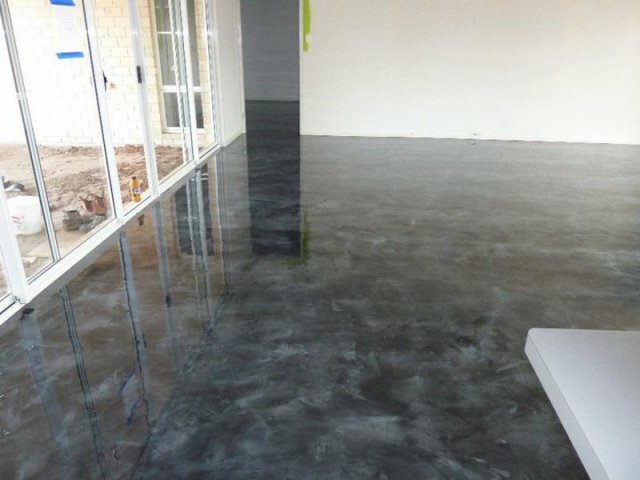 This product is basically very thin layers of concrete that can go directly over that ugly Formica, Laminate, Tile, Wood, and traditional concrete. 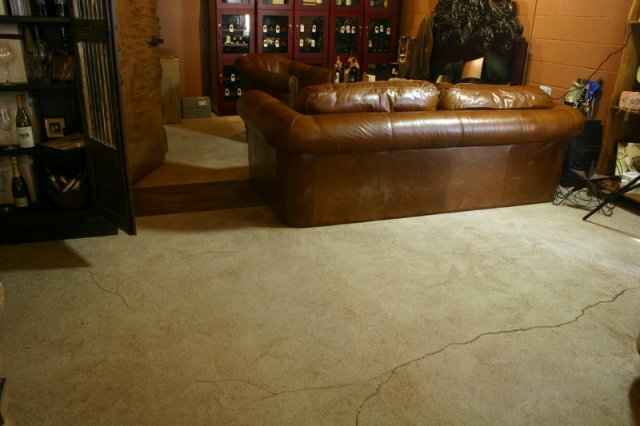 The topcoat is a 2 part Epoxy that self-levels and has additives for scratch resistance and scorch proof. 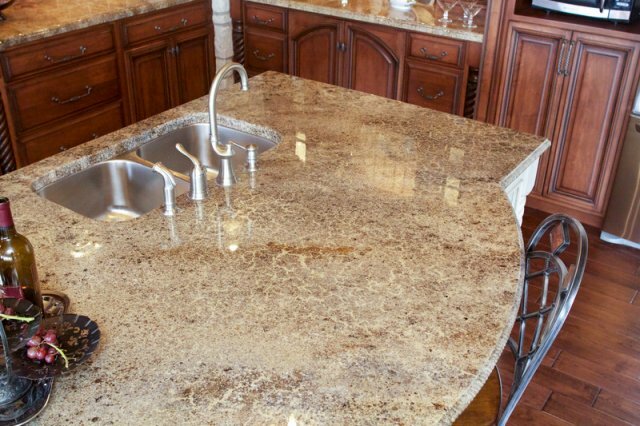 Of course if you wanted to build a new countertop you can use MDF or a water resistant fiber board call MDX or Medex as your substrate.iCOAT Countertop products have been used both commercially and residentially with great success. They are a great choice for bathroom vanities, kitchen counters, tabletops and even outdoor kitchens. 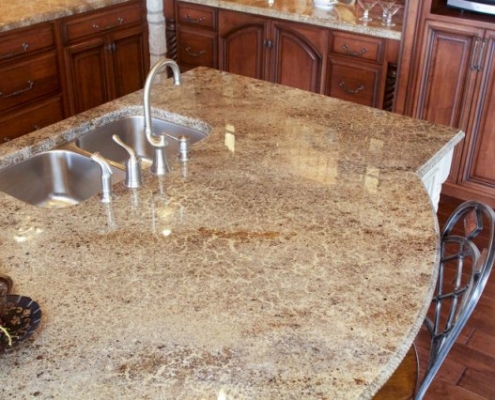 iCOAT countertop products can be made to replicate nearly any type of stone or granite, concrete or even wood. 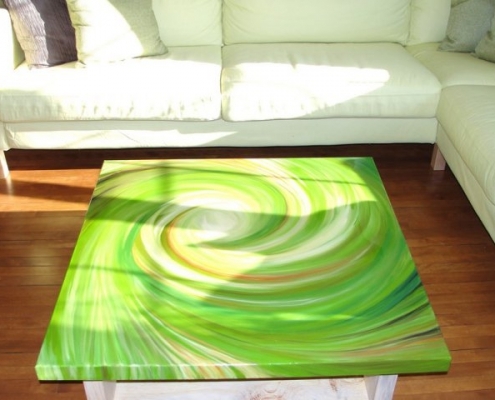 Faux artist love the iCOAT Countertop System because they get a chance to really use their God given talents to create some beautiful looks you can’t get in Stone or Granite. Being an artist is not a pre-requisite. iCOAT has trainers around the country who can teach you the Countertop System. Check out our Training tab for the training center nearest you. 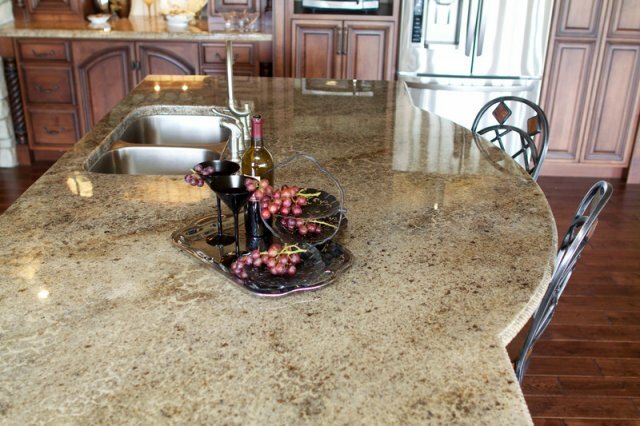 iCOAT is the countertop of choice to meet LEED Platinum standards. 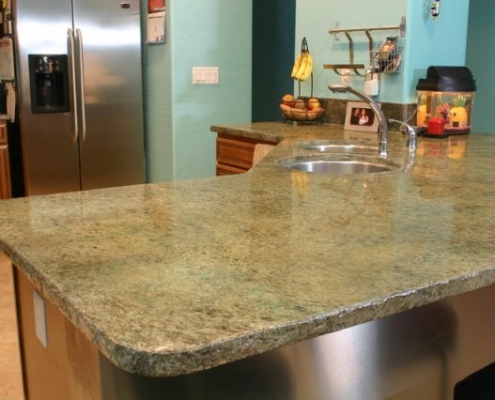 iCOAT countertops also meet all health code standards for food prep areas due to the impervious top coats used. 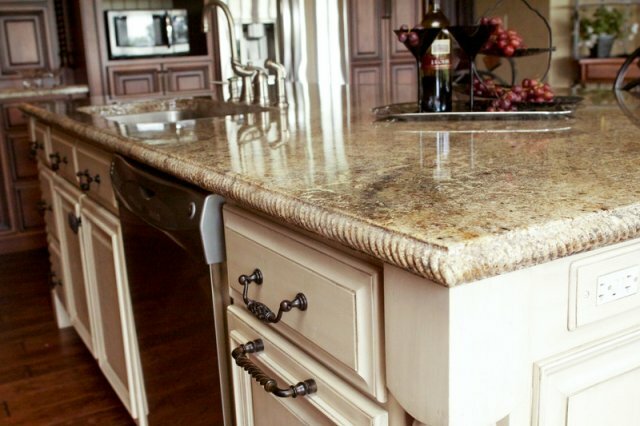 This means no bacteria will be embedded in the counters like what happens with real stone. 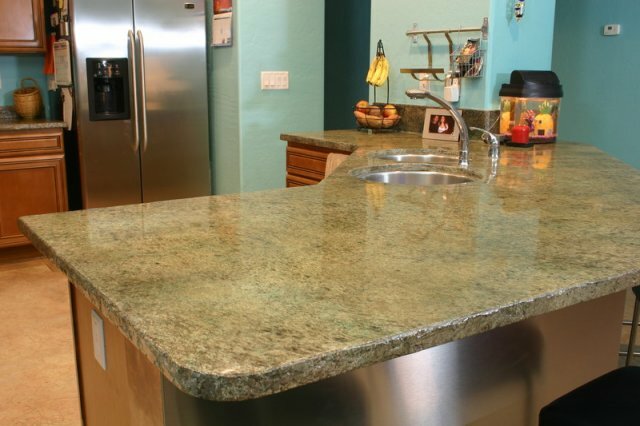 iCOAT counters are also an excellent value and can be installed for a fraction of the price of a quality granite. iCOAT counters are available in myriad colors; iCOAT can even create custom colors as desired. 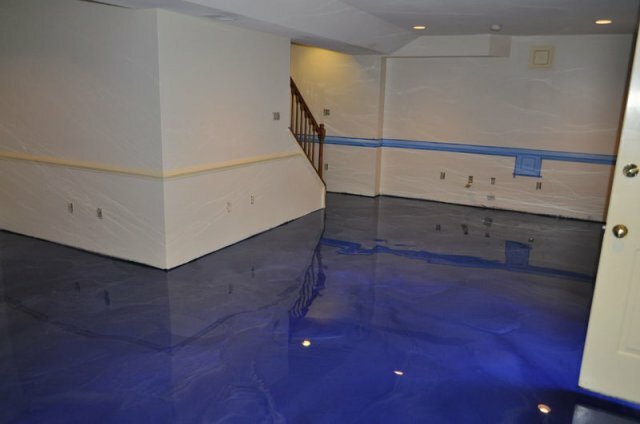 The “hottest” system in Epoxy Flooring right now! Metal Illusion Epoxy Flooring is interior only right now. It is easy in install and the looks are gorgeous. 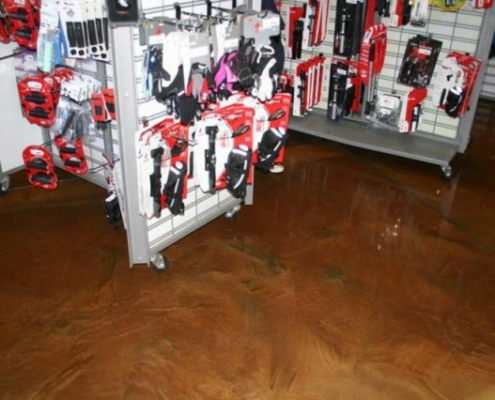 Metal Illusion Epoxy Flooring is durable and has very low maintenance. You will fall in love with the looks whether you are an installer or the very luck end user. iCOAT’s New Metal Illusion Flooring System has revolutionized the metallic epoxy flooring market. iCOAT has developed a thin mil epoxy that has exceptional leveling properties and with the addition of SuperStains pigments can be done in a myriad of colors. 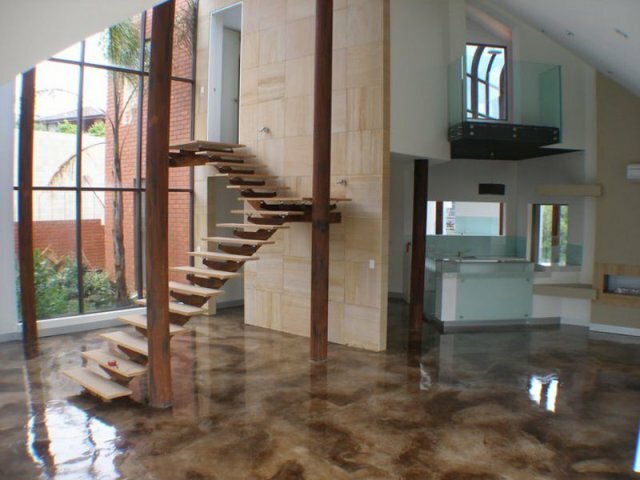 Metal Illusion floors are easy to clean, hold up exceptionally well and have a mid-century modern feel to them. 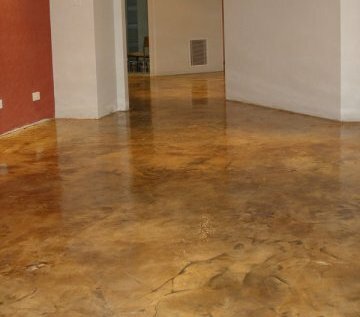 Metal Illusion flooring is superior to a stained floor as any inconsistencies in the substrate are hidden by the primer. 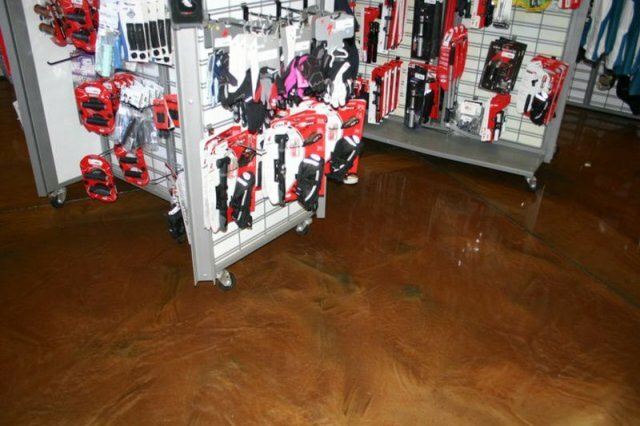 Metal Illusion floors are extremely durable and can be top coated with Renew, which is a sacrificial acrylic coating or with an industrial grade urethane to meet requirements for even the harshest environments. 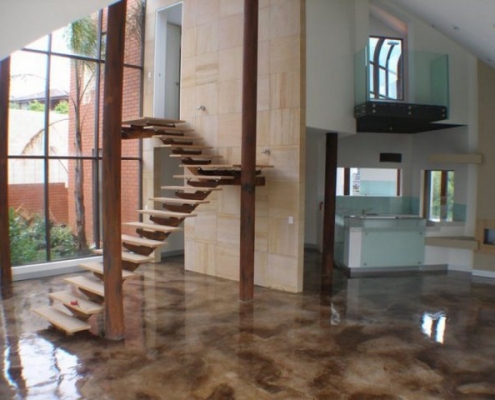 Metal Illusion flooring is an excellent value. 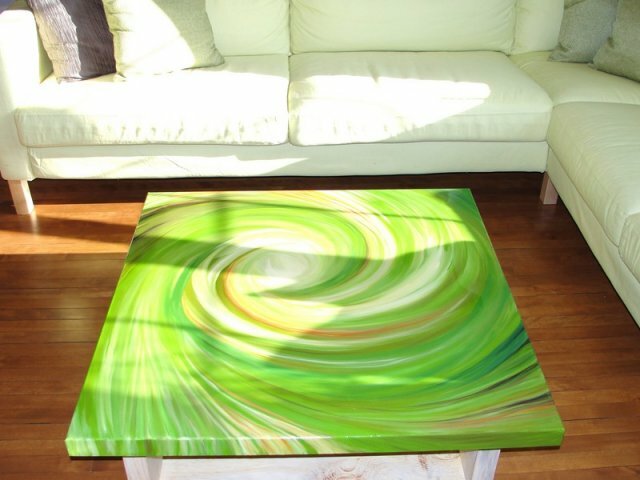 It has the eye popping wow factor with a price that rivals a low end tile installation. 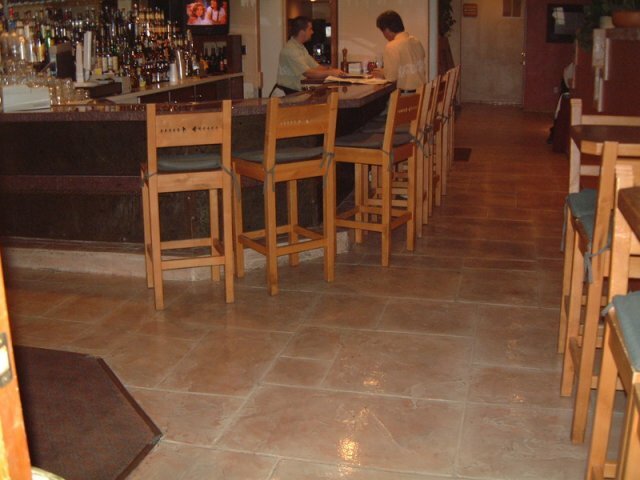 Metal Illusion flooring is a must for your next flooring project. There is a training program for the Metal Illusion System if you have a desire to do. Check out our Training button on the Home Page of our web site. 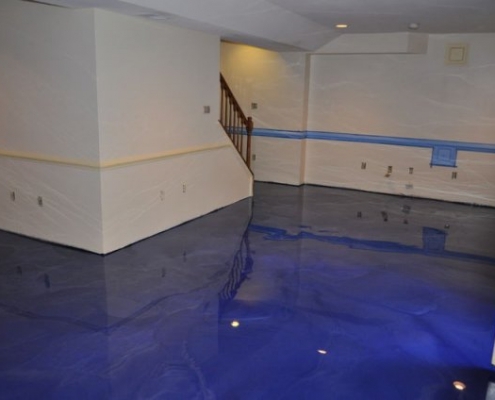 iCOAT also carries a pigmented Epoxy Flooring Products as well for commercial and residential projects. It’s superior quality, low cost, and easy to use. We stock 8 colors, but can special order just about PMS color.